oats, butter (cream), enriched wheat flour (wheat flour, ascorbic acid [dough conditioner], niacin, reduced iron, thiamine mononitrate, riboflavin, folic acid), raisins, brown sugar, sugar, eggs, liquid invert sugar, apricots, spice (cinnamon), baking soda, natural flavor, salt. contains wheat, milk and eggs. may contain peanuts, tree nuts and soy. 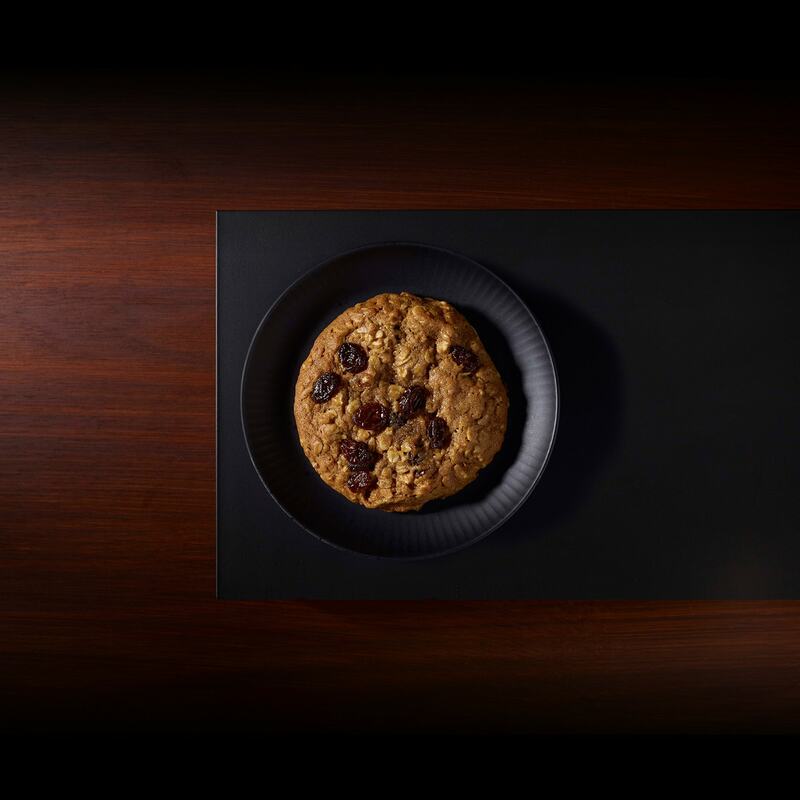 Our versatile cookie—packed with rolled oats, chewy raisins and dried apricots—doubles as a quick breakfast and an afternoon snack. In ancient Rome, raisins were used as prizes in athletic competitions and as payment for taxes.